This project was done in a haste, barely making it into a LEGO Xmas themed exhibition at a local mall, together with my Rudolph Reindeer. 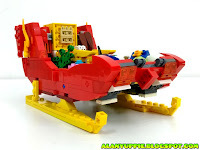 One fine winter night at the North Pole, an alien protoform crash landed near Santa's workshop. 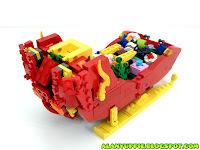 The alien creature decided to scan his sleigh parked there and the rest is history. Some bunnies were caught in the sleigh when the scanning took place.. so the alien assumed it's part of the sleigh as well. 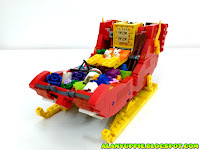 So now the bunnies are integrated into the Sleighbot and linked to it... or shall I say.. these cute critters has the ability to control the sleigh. 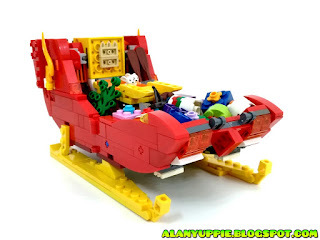 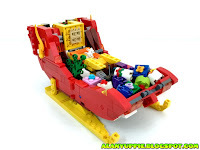 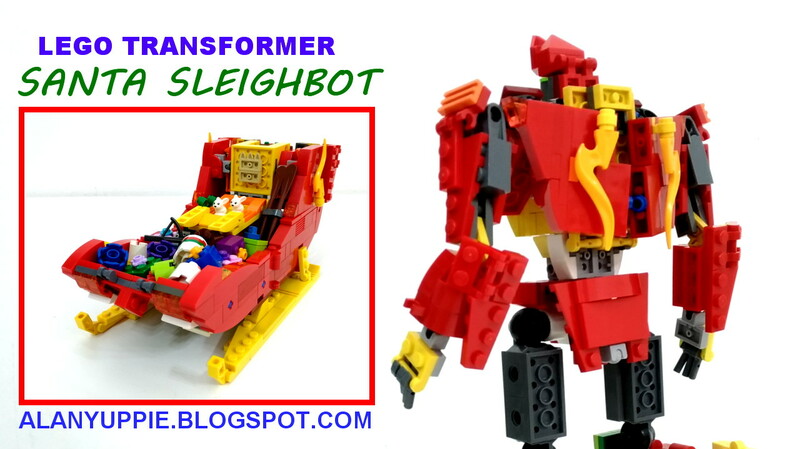 The yellow skids are the weakest link here, it pops out easily when I attempted to transform the sleigh. 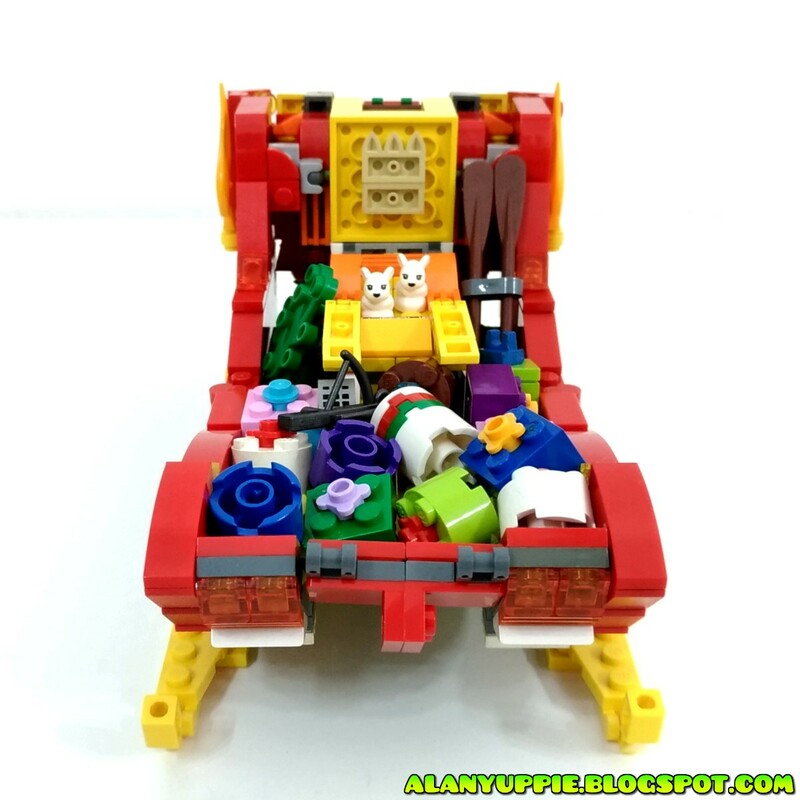 Oh yes... those plants you see are sustenance /food for the bunnies to nibble on while they're on the go. Trivia: Instead of bunnies, I initially planned for a Santa-turned weapon (for robot mode) to ride the sleigh. 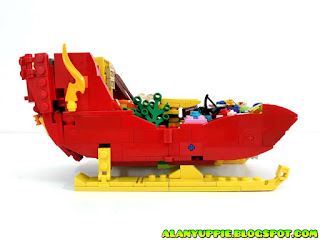 Sadly, I failed to acquire a Santa minifigure to get started. Note the swivelled c-clip notch on the right photo: Help to secure the shoulder joint preventing it from sagging. The green accent on his chest and knees are last minute changes. 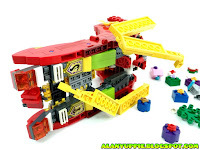 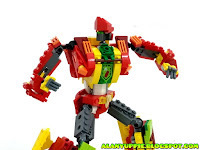 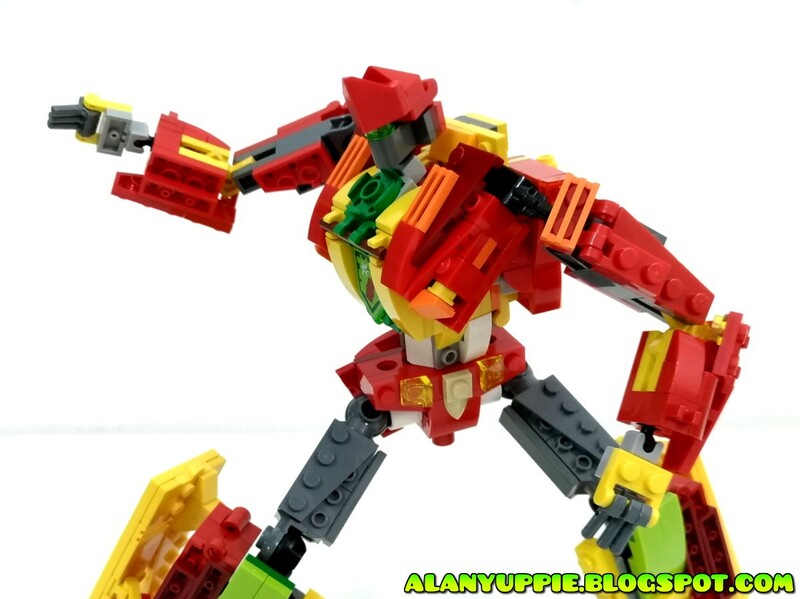 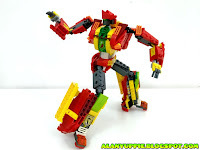 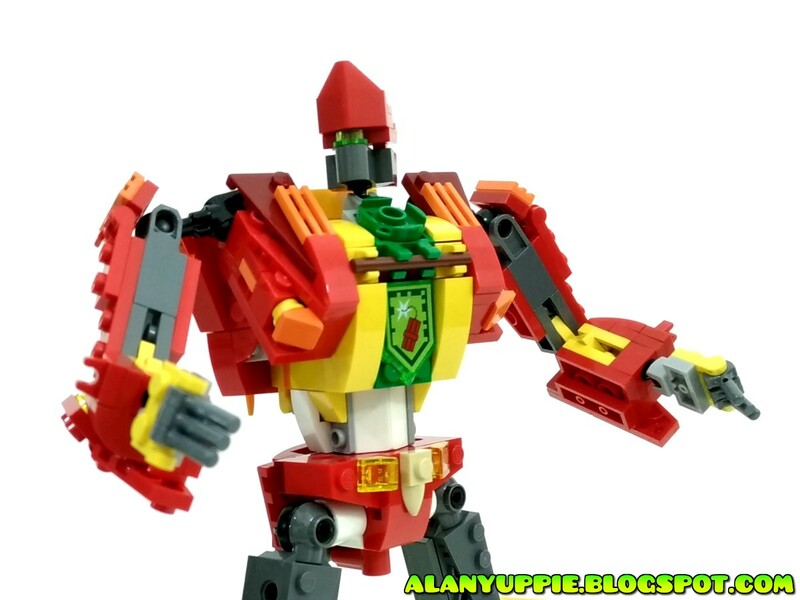 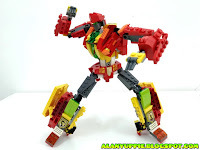 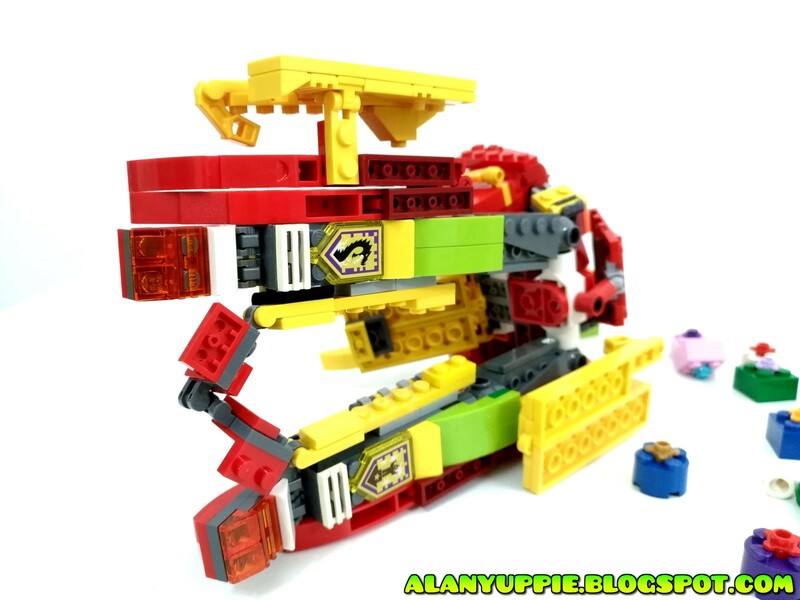 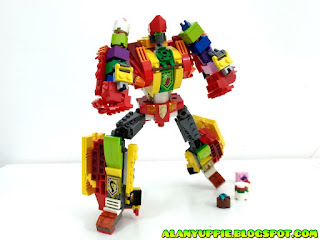 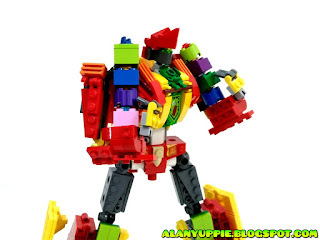 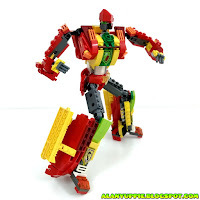 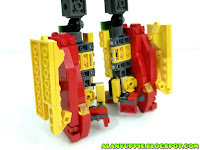 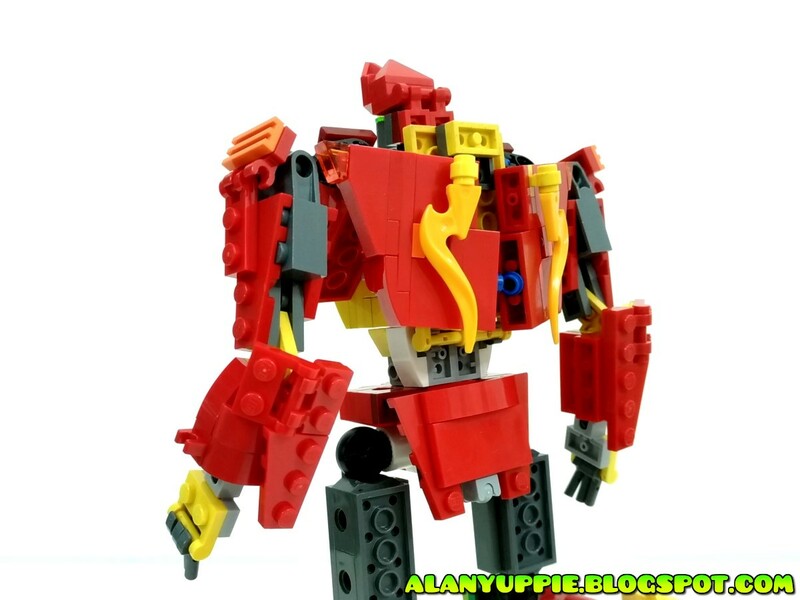 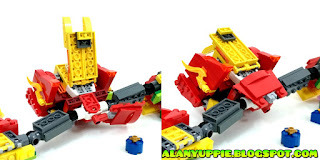 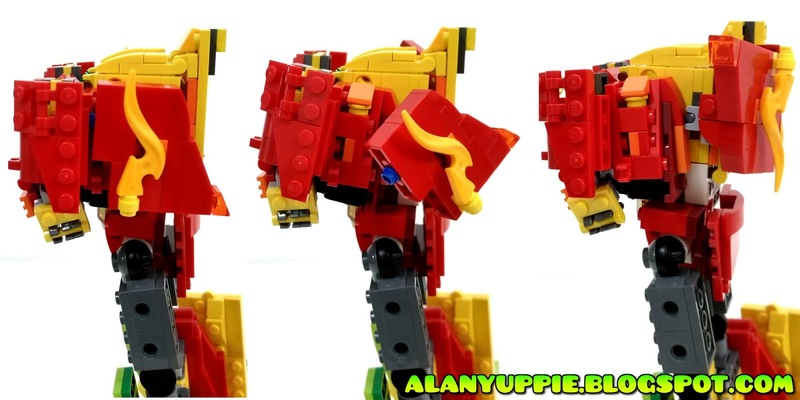 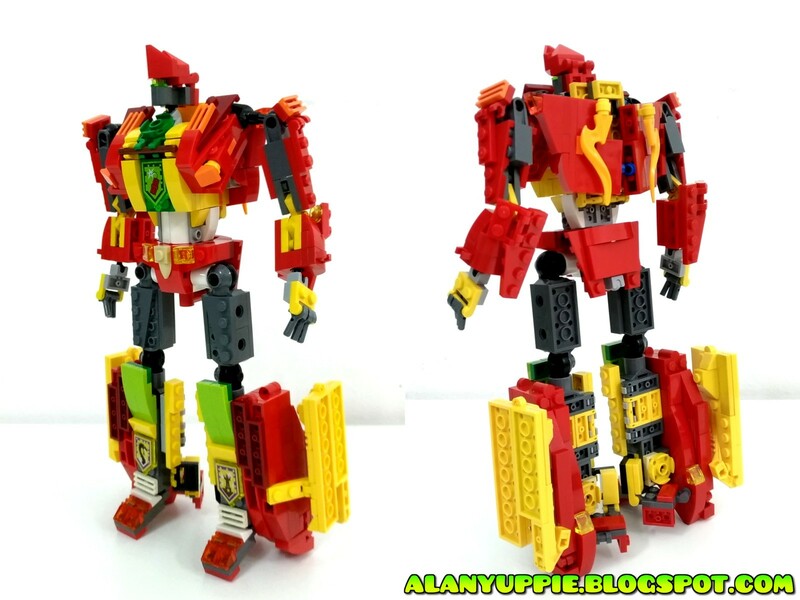 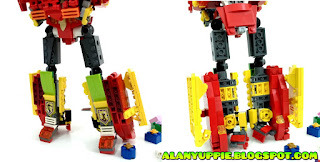 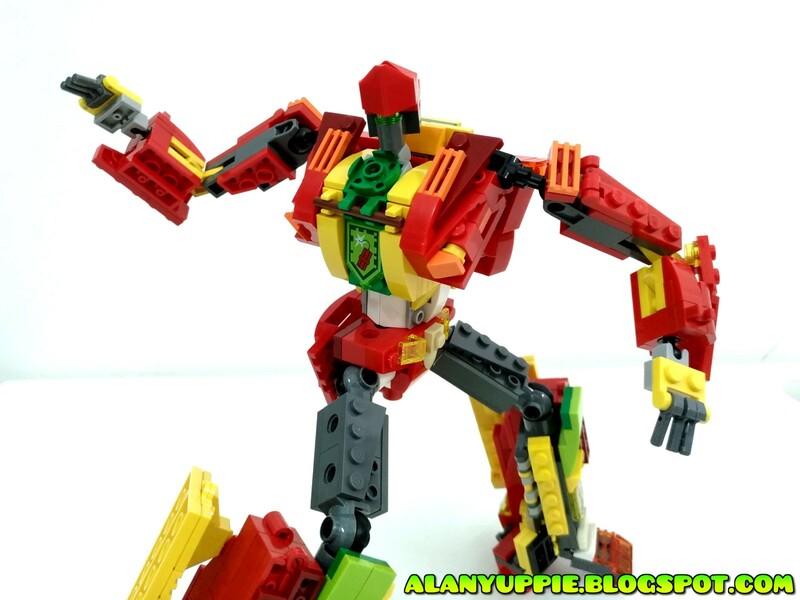 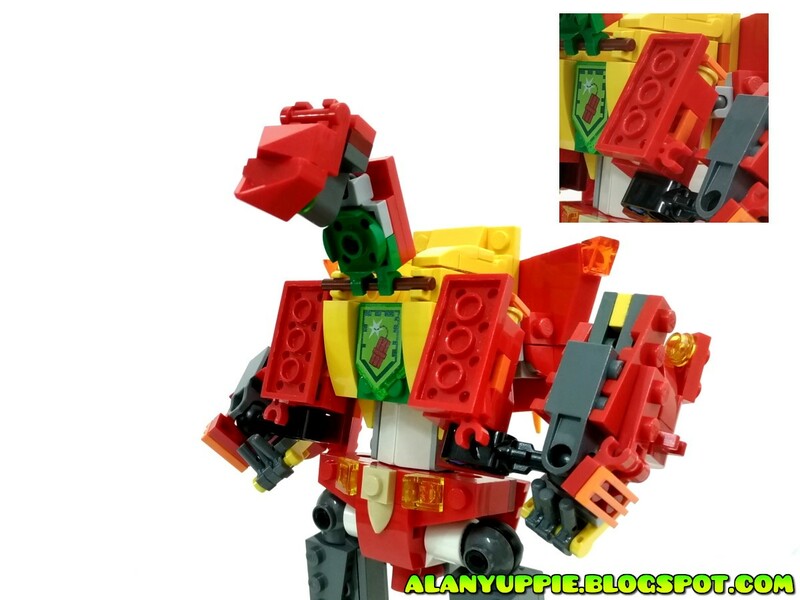 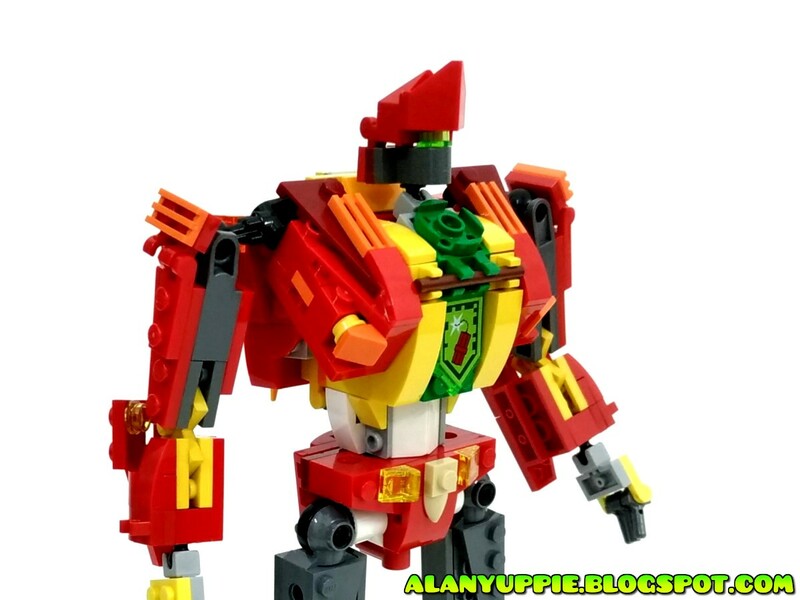 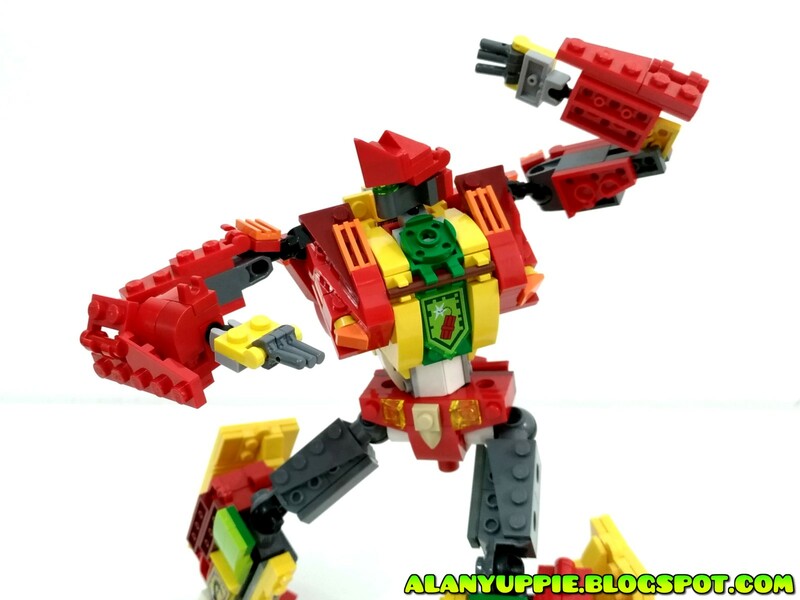 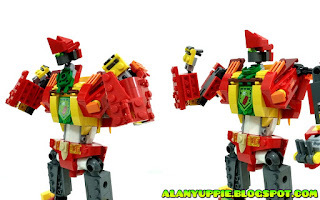 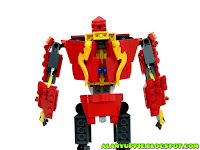 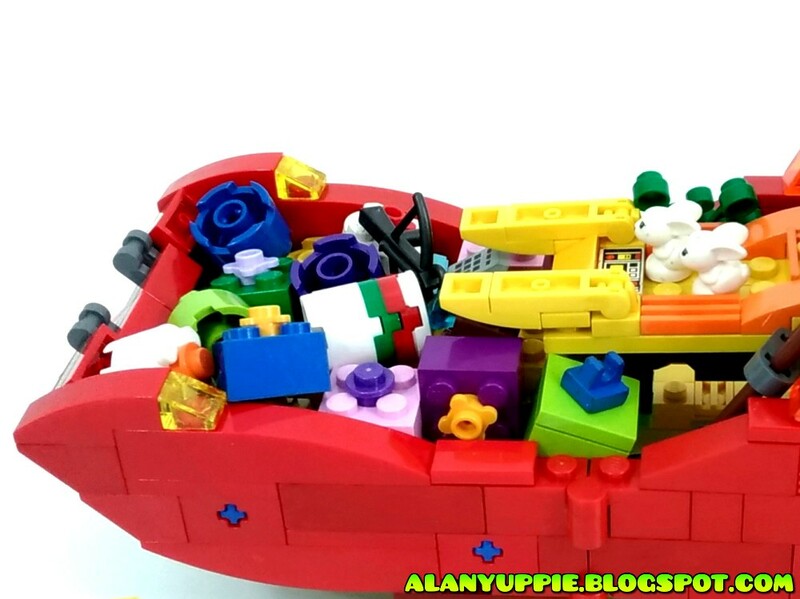 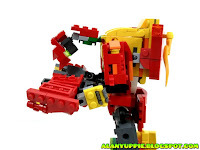 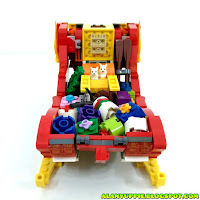 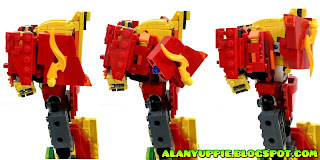 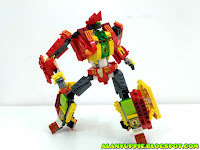 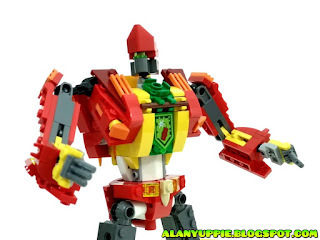 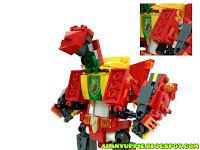 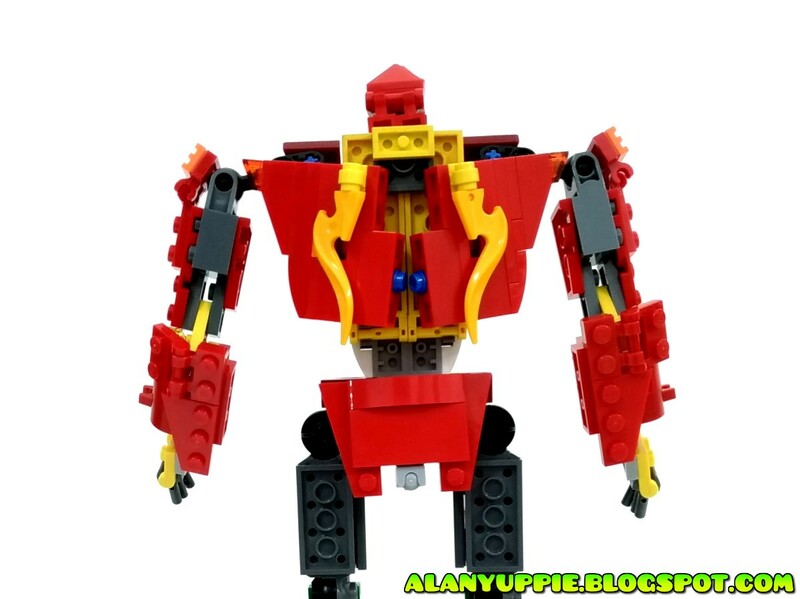 2018 My LEGO Transformers /Creations Roundup!